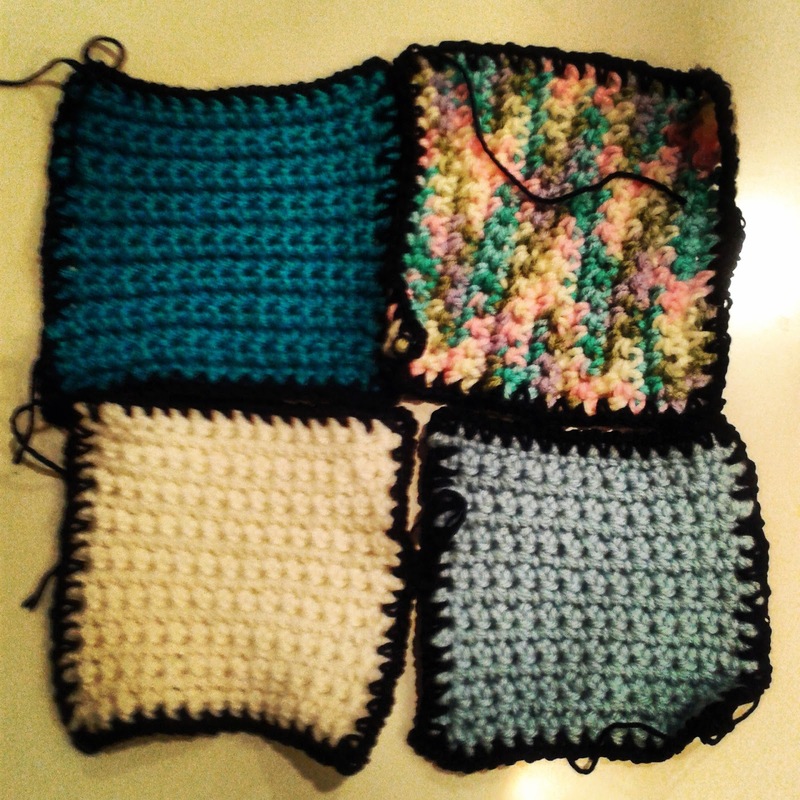 Just had an update through from one of my Yak and Yarners - her new recruit has cranked out a further 20 squares. By my reckoning that means we're onto lapghan #5 now. I need to recruit another assembler of squares. Lapghan #3 is being edged in black and I am loving the way it makes the colors pop.